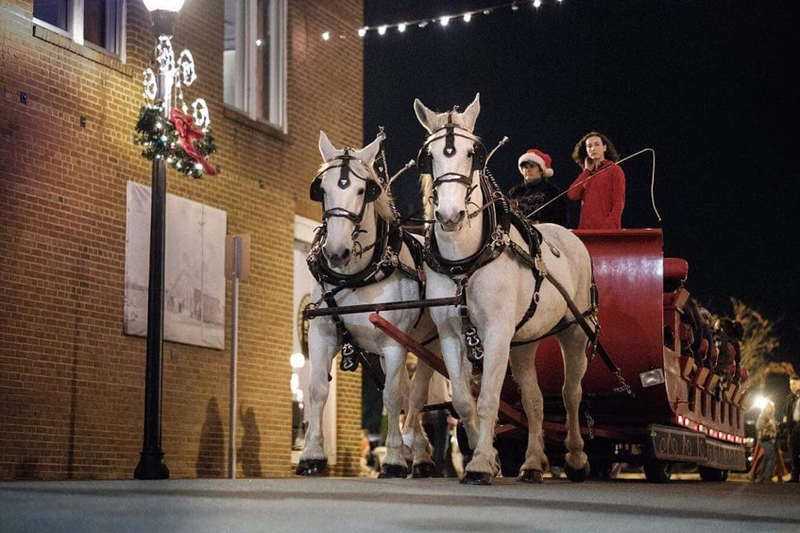 Fuquay-Varina Downtown will host a ticketed sleigh ride during the town Christmas tree lighting. Tickets are distributed to sponsors & friends of downtown. Remaining tickets are available to the public at a ticket sale the night before the sleigh ride. Don't forget to visit Santa while you are here!